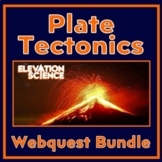 This webquest consists of 14 questions on the topic of volcanoes using the website: http://www.weatherwizkids.com/weather-volcano.htm Answer Key Included! * This product is part of my Volcano Bundle! Check it out here! 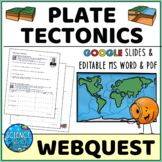 Students will use a few sites to collect information about what a volcano is, the different types of volcanoes, play a game using a timeline of volcanoes, and even look at a map of current volcanic activity. Answer key is included. 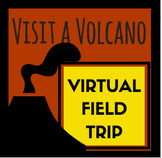 Have your students surf the net to introduce or extend their knowledge of VOLCANOES! 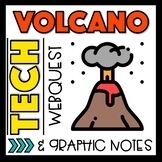 This is a webquest that will allow students to explore volcanoes. 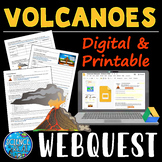 This webquest follows the website Learners Interactive regarding volcanoes. 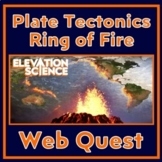 This is a guide to an online, interactive WebQuest dealing with volcanoes and earthquakes. Students visit different websites, explore, and record their findings.